Probably one of the most revolutionary paper cups ever produced. In double wall paper cups the air gap between the two layers add to the insulation just like the vacuum between two glass layers in a thermos does. 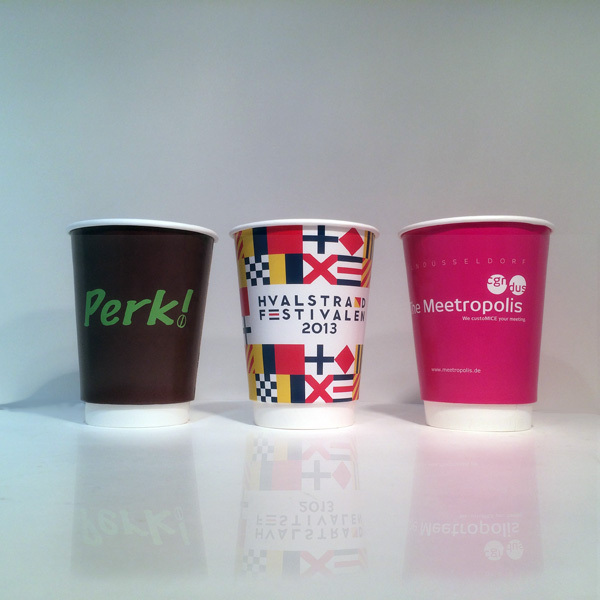 Double wall paper cups are available in 8oz, 12oz and 16oz volumes. Since double wall cups give a high insulation resistance against hot liquids, there is no need for a loose sleeve. 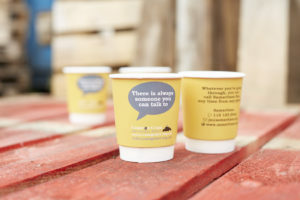 Double wall cups are ideal for hot drinks. Sip lids are available for this product. 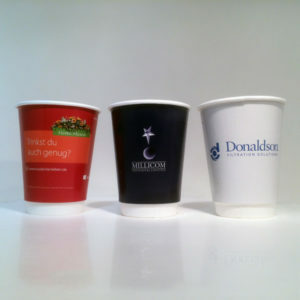 Paperboard used is food grade with compostable coen starch derived bio plastic(PLA) lamination. 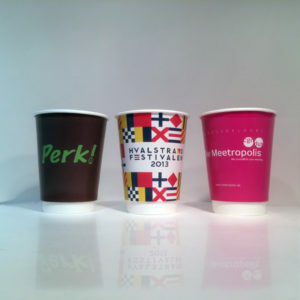 Double Wall Cups provide an excellent space for promoting your brand. Most suitable for very hot drinks. Double Wall Paper Cups are most suitable when serving piping hot coffee and other beverages like Latte, Cappuccino, Hot Chocolate, Espresso, Tea, Mocha, Soup. 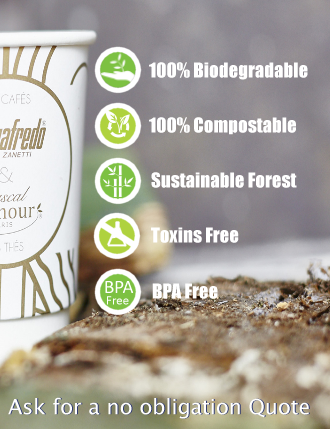 100% Compostable and Biodegradable Cups don't just work for you, they relieve you of conscience too.